We’re all looking for a competitive edge — from new products to new talent to new markets. But there’s one angle companies really haven’t exploited to drive their growth and innovation: Nextgen women – those women born between 1995-2010 who are just entering the workforce. While most business and HR leaders probably aren’t yet thinking about Gen Z, the data is a wake-up call for CEOs, HR leaders and venture investors: pay attention to this “innovation generation” if you want to drive growth and reduce risk. The Proving the Power of NextGen Women report was released in a live briefing with leaders from KKR, the NASDAQ and EY (watch the briefing replay). The research is based on six years of data college venture competitions involving 1,454 participants on 535 teams from three universities – UCLA, Rice University and the University of Connecticut. Students compete for real prize money – ranging from $3,000 to $100,000 – based on the viability of their business plans. 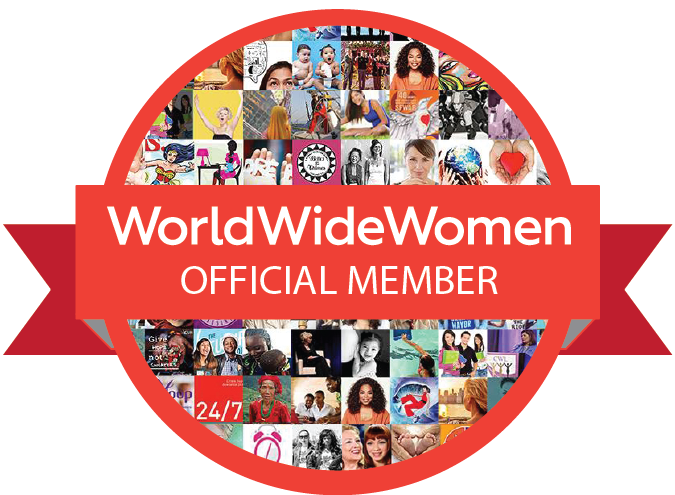 The groundbreaking report finds that although women comprise just 22% of participants in these business competitions, 51% of the ranking teams – those in first, second or third place – had a woman founder. 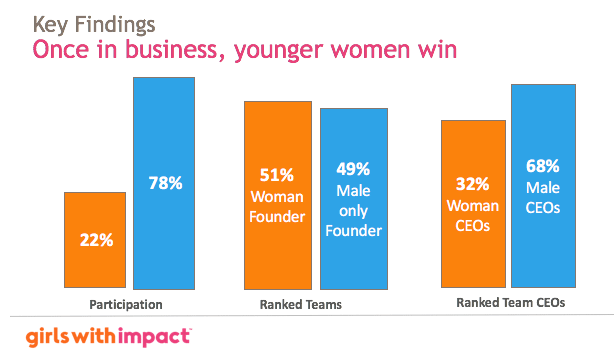 Additionally, among the first-place winning teams, 32% had a woman CEO. “What’s powerful is the comparison of the 22% of women participants to the 51% of ranking teams,” said George Brooks, Americas Leader for EY’s People Advisory Services, in discussing the report. Why is it that women are out-performing men? How can you harness nextgen women? Include nextgen women on teams – It’s not enough to have women in your firm; be sure they’re involved in innovation and meetings. They want purpose in their jobs. Don’t overlook their drive: According to EY, 30% of women-led companies target growth rates of more than 15% in the next 12 months vs just 5%. Invest in STEEM, not just STEM Education – STEM creates the doers, but the “E” for entrepreneurship will ensure the development of leaders with the mindset to navigate in the Future of Work. Jody Bell, 16, developed a business plan through Girls With Impact and then launched her venture, In Case of Deportation, giving her a giant leg-up for college and career. Boost your recruiting ROI – According to a Payscale survey, a whopping 60% of companies say new hires lack problem solving and critical thinking skills – as well as those soft, professional skills such as writing emails or presenting an idea. Rather than “shooting from the hip” in recruiting efforts, consider partnering with organizations like Girls With Impact that reach younger to deliver critical skills training and help employers build a diverse talent pipeline. Not only can recruiting dollars be better targeted, but such programs provide employee engagement, community impact and branding opportunities.